Rep. Darrell Issa Friday praised Escondido for becoming the first city in San Diego County to express support for the Trump administration's lawsuit against California's so-called sanctuary laws. 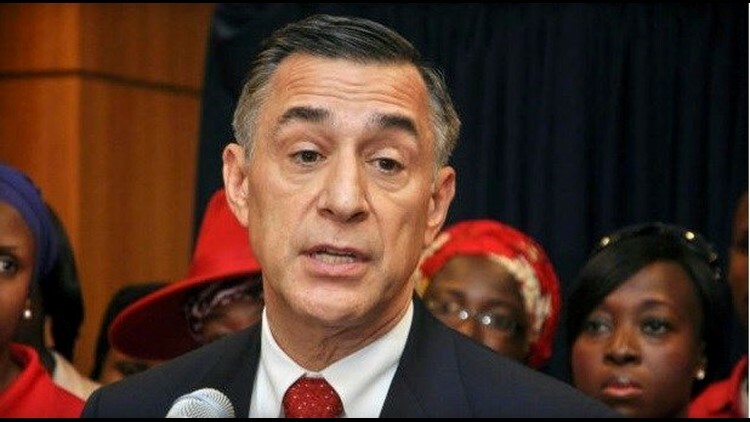 VISTA (CNS) - Rep. Darrell Issa Friday praised Escondido for becoming the first city in San Diego County to express support for the Trump administration's lawsuit against California's so-called sanctuary laws. The Escondido City Council voted to file a legal brief in support of U.S. Attorney General Jeff Sessions' position that the laws, which include a limit on cooperation between local law enforcement and federal immigration authorities, are unconstitutional and undermine public safety. "If Gov. (Jerry) Brown, Attorney General Becerra and other state leaders in California are going to blatantly disregard the law, California cities, counties and communities have no other choice than to speak out against them and I applaud those that have done so," said Issa, R-Vista. "With (the Department of Justice) lawsuit, the Trump administration is sending a clear message to California and signaling to other states that prioritizing political points over protecting public safety will not be tolerated." Escondido's 4-1 vote on Wednesday came after a contentious three-hour hearing. Councilwoman Olga Diaz cast the dissenting vote. Foes of the lawsuit say that cooperation between immigration agents and local police could dissuade immigrants, such as those who are victims of domestic abuse, from reporting crimes out of fear of being deported. At a rally outside the City Council chambers on Wednesday, Escondido resident Lillian Serrano said the council siding with the Trump administration is "not representative of the values of my community." More than 50 percent of the city's 147,000 residents are Hispanic and many residents, including Mayor Sam Abed, are immigrants. "I am proud immigrant who came to U.S. and I believe in the rule of law. My number one goal is to make Escondido a safe city," Abed told ABC10. Neighboring Orange County has led the way in opposition against California's sanctuary policies. The Mission Viejo City Council voted last month to file an amicus brief, and the Orange County Board of Supervisors recently voted to join the administration's lawsuit. The Huntington Beach City Council on Monday voted to become a part of the courtroom fight against the laws and the Los Alamitos City Council recently voted to "exempt" itself from the policies.